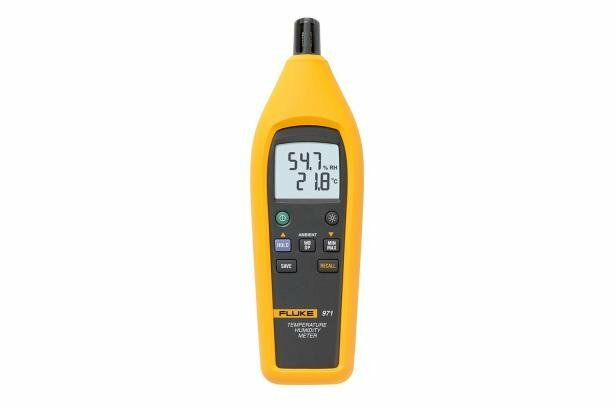 Fluke 971 Temperature Humidity Meter is rated 3.7 out of 5 by 11. Rated 1 out of 5 by Craig from Out of spec after 3 years Our plant engineering team bought a couple of these for checking humidity in our paint shop. When performing annual verification using our Fluke 5128A standard, it was reading 23.3%RH @ 20%RH & 23°C. Spec is +/- 2.5%. No adjustment available. Seems quite expensive for a disposable meter. Rated 2 out of 5 by Alex81 from Inaccurate After 3 Years We purchased a 971 a few years ago to verify our alignments on temperature and humidity sensors. Out of the box, we absolutely loved it! It was much quicker to verify our equipment with this meter than what we were using before. Unfortunately, the honeymoon didn't last too long. We are required to have all of our test equipment calibrated every year. On our next round of calibrations, the cal team that calibrates all our equipment informed us that this meter had a proprietary calibration, so we would have to send it to Fluke for any calibration adjustments. No worries. We called Fluke, but were shocked to discover that they wanted us to pay $300 for the calibration! The meter itself cost us $300! Luckily, our calibration tech had tested the meter's accuracy as-is, and, although he couldn't place an official cal tag on it, he had verified its accuracy was within range. For the next few years, we would hand over the meter to the cal team knowing they couldn't cal it, but to verify it's accuracy was within range. Our superiors didn't particularly like that, but they accepted it as long as the meter's accuracy was verified by the cal team. Then, after only 3 short years of moderate service, the meter was red-tagged for being out of tolerance, and we can no longer use it. So beware! This meter might be good if you only want ballpark figures in the long term. But if you need it to stay within its range, it will be a 6.7 oz paperweight in a few years. 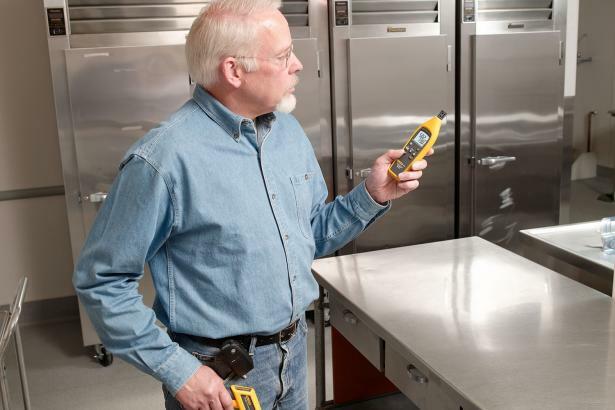 Fluke wants $300 to cal it, but you might as well buy a new one at that price. Rated 5 out of 5 by Kerwick from I use it on every AC job. I really love this meter, i always use it at the end of every job to make sure my temperature split is correct. Love the wet bulb temperature reading and the humidity reading. Can't see myself with this nifty tool. Rated 5 out of 5 by Thaigarvin from Easy to use I bought this about 6 months ago to measure the temp and humidity of our paint booth. We needed to be able to meet the manufacturers requirements and had no way of knowing without this device. It was really easy to use and allowed us to know that we were following their requirements. Rated 5 out of 5 by Sparticus from So easy to use This meter is so easy to use when measuring space temperature and humidity. There are no leads or sensors to plug in. It all comes together as one compact product. Just buy it, you'll be glad you did! Rated 1 out of 5 by Domenic from Disappointed The 971 seems to be a disposable meter. Our company purchased three of these meters and all three meters can not be recertified/recalibrated. 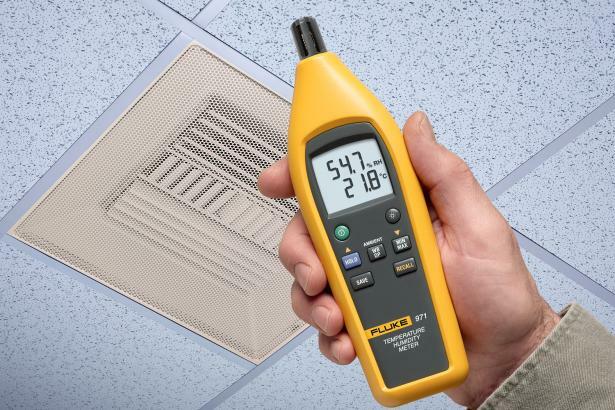 As a Commissioning Engineer who focuses on HVAC system testing and investigates IAQ complaints, it is imperative the instruments I use are verifiably accurate. To be fair, I have not attempted to send the meters to Fluke for calibration. A local vendor has been able to certify and calibrate every other meter we own (multiple manufacturers including Fluke) and trust them when they say the meter is out of calibration and not repairable. Rated 2 out of 5 by ssjasper from Watch Out for Cost of Calibration! I am a licensed professional engineer (PE). 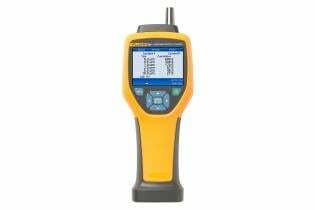 I bought the Fluke 971 in August 2013 to check moisture levels on supermarket projects. This brand new meter consistently reads 2% RH too low when compared to our "reference instrument" [Vaisala HMI41 meter with HMP46 sensor (combined, over $1200) that was calibrated ($275) in August 2013]. The specifications for the Fluke 971 state that it is +/- 2.5% accuracy between 10 and 90% RH I called Fluke and asked if my brand new meter could be calibrated under warranty and customer service said, "No". Customer service then advised that I could get factory calibration for $575. I also have a competitor's meter. This one-year-old meter consistently reads within 0.3% RH of our "reference instrument" (see above). Further, competitor offers "NIST traceable calibration" for $125. In a meter like this, calibration of RH sensors is way more important than temp sensors and should be done annually. Cost of calibration should be a definite consideration when buying a RH meter. Rated 5 out of 5 by catmandu from Good Unit I like this unit. I would buy it again. I have bought 3 other units that have failed in less than a year. I've had the electrical crew use this for 2 years with no problems.